The name of Casablanca is largely associated with the 1940s, thanks to Michael Curtiz’s movie from 1942. I had heard from friends that the city center had a number of Art Deco buildings and hotels, so this large port city became part of our Morocco trip, but nothing could prepare me for the shock of so much Art Deco in one place. Shanghai and Casablanca have a number of interesting common points. They are both large port cities and subtropical, located slightly above the Tropic of Cancer. Although they have been used as ports for centuries, both cities were largely developed in the early part of the 20th century thanks to export of exotic goods from the hinterland to West colonial powers. This greatly influenced the architecture of both cities. 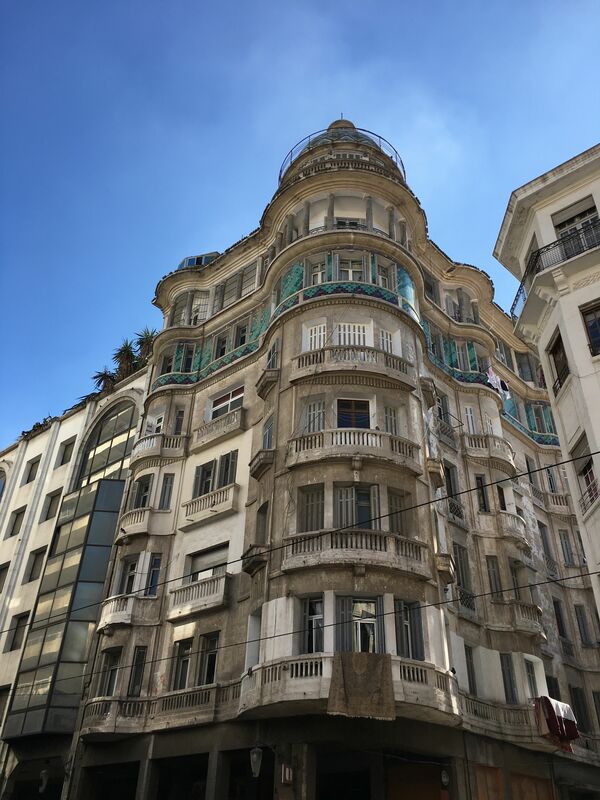 All these similarities, give a strong sense of familiarity to a Shanghai visitor to Casablanca. Like new western district were build around Shanghai Old City while preserving it, Casablanca Western city was built next to the Old Medina, that is still inhabited. 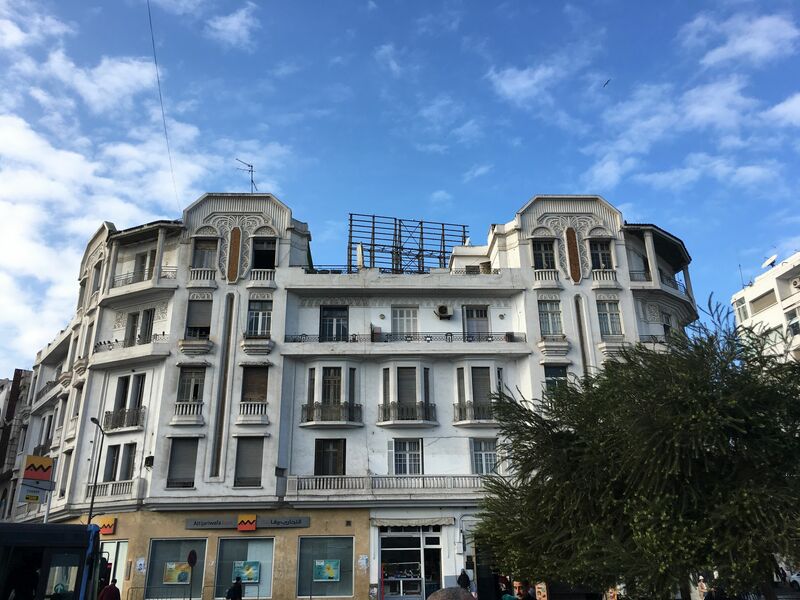 With a similar structure, history and timing, Casablanca and Shanghai shared a similar architecture from the 1920s and 1930s, Art Deco. Although numerous Shanghai Art Deco buildings remains in the city today, many have been demolished and the city center has changed a lot since the 1930s. 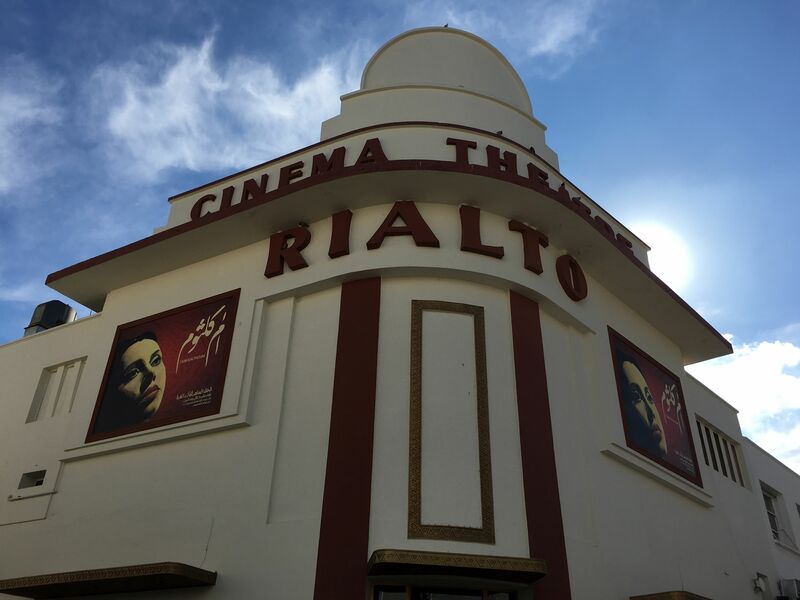 What is fascinating with Casablanca, is that little has changed. 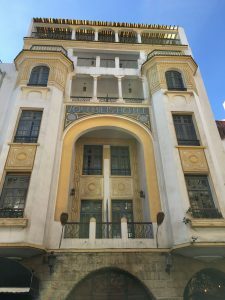 Most of the 1920s to 1940s buildings are still in place, and Art Deco clearly flourished in Casablanca. In the central district, nearly every single building is a declination of the Art Deco style. French young artists and architects (like Majorelle) moved to Morocco and used the city to experiment with the then modern style. Local crafts were used to create unique pieces for the new style. In Shanghai, Chinese wood carving skills were in Art Deco furniture. 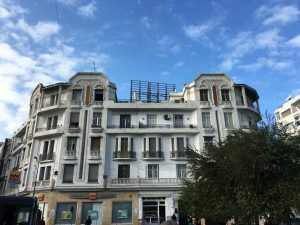 In Casablanca, the most visible is the use of plaster and ceramic inherited from islamic art, to create exterior sculpture on buildings and mosaics. Like in Shanghai, early 20th century heritage has been used but largely neglected for decades. 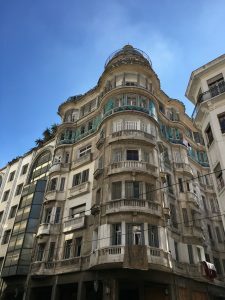 Shanghai has its Historic Shanghai association, Casablanca has Casa Memoire. The association’s map was very useful for an overview of the best places to see, although the best is sometimes (just like in Shanghai), just off the beaten track. 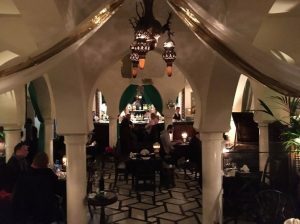 Although Casablanca the movie was not fimed here, an American former diplomat has opened a real life version of Rick’s Cafe in Casablanca. The bar definitely has the right atmosphere, an evocation of the 1930s or 40s, reminding me of Shanghai’s own M on the Bund. 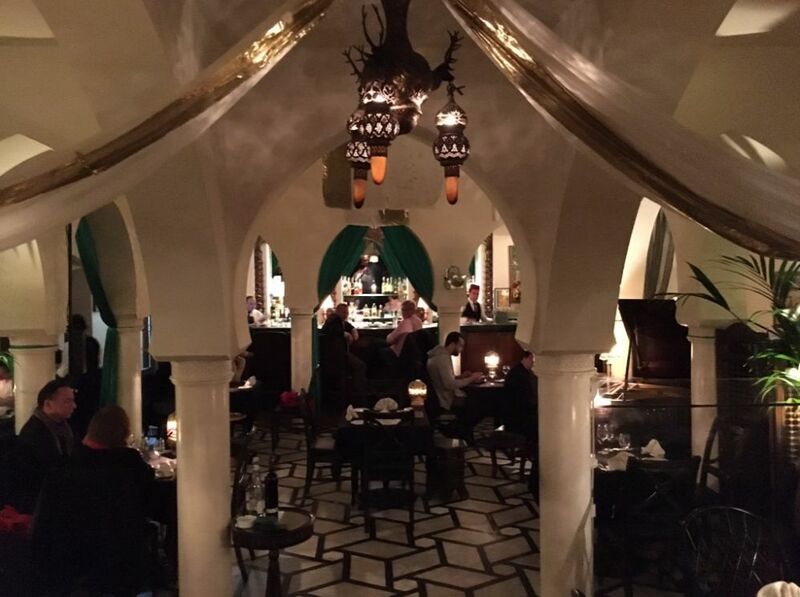 A great way to close this short stay in Casablanca.